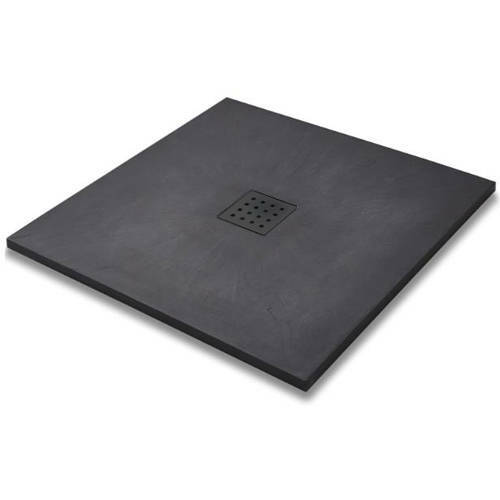 Slate Trays > Square Shower Tray & Graphite Waste 800x800 (Graphite). 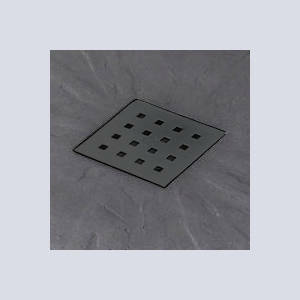 Slate Trays square shower tray in graphite slate effect finish with graphite integrated waste (800x800x27mm). 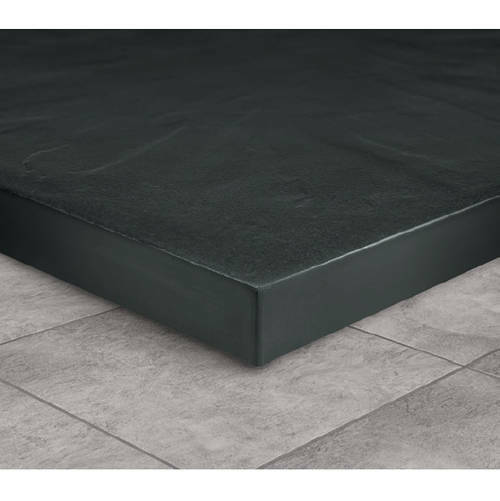 Can be installed on, level with floor or with an easy plumb kit (sold separately). Integrated 90mm fast flow waste included (graphite). Size: 800W x 800D x 27H mm.